Elegant LED floor lamp with individually adjustable arms. 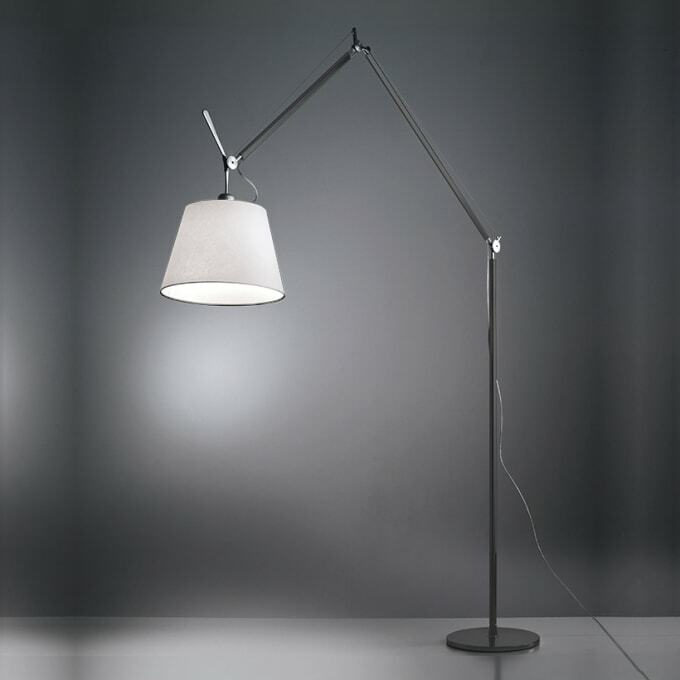 The Artemide Tolomeo Mega Terra is a filigree floor luminaire of timeless elegance. The delicate lampshade made of plastic-stabilized parchment paper or satin emits the light gently and atmospherically. This elegant black lacquered aluminum frame has 3 joints and allows an optimal adjustment of the lighting arms and the lampshade on the individually desired lighting situation. In the variant offered here, the large Artemide floor lamp also features high-performance, energy-efficient LED technology. The frame of the Tolomeo Mega Floor LED is also available in a polished aluminium finish. Do you have a question about "Tolomeo Mega Floor LED (Black)"? How can we contact you?